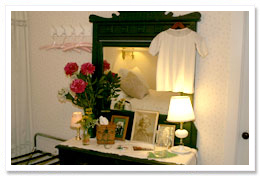 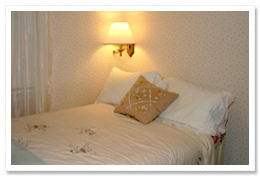 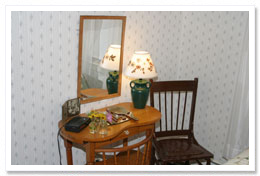 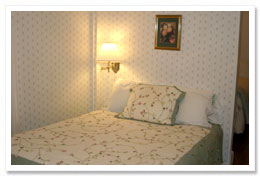 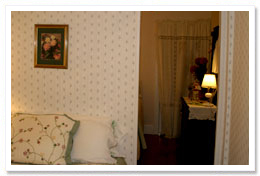 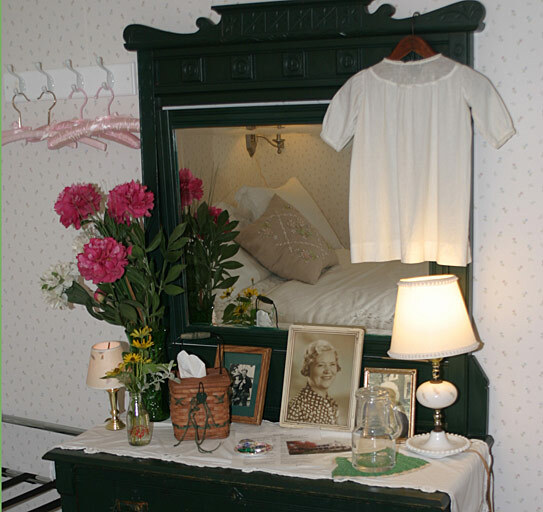 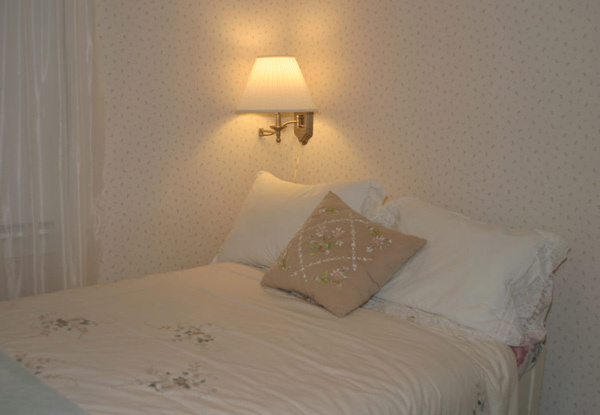 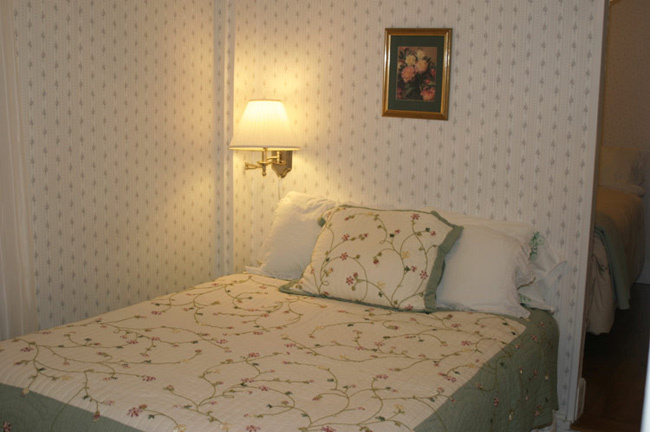 A cozy two room suite with queen sized bed and antique 3/4 spool bed overlooking the bird and wildlife area. 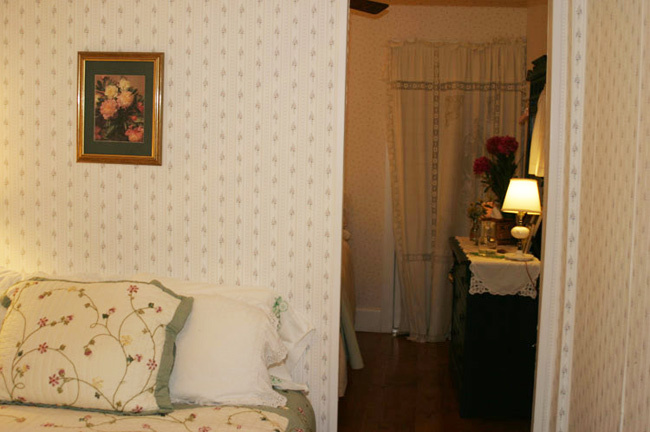 It has a large private bath and dressing table. 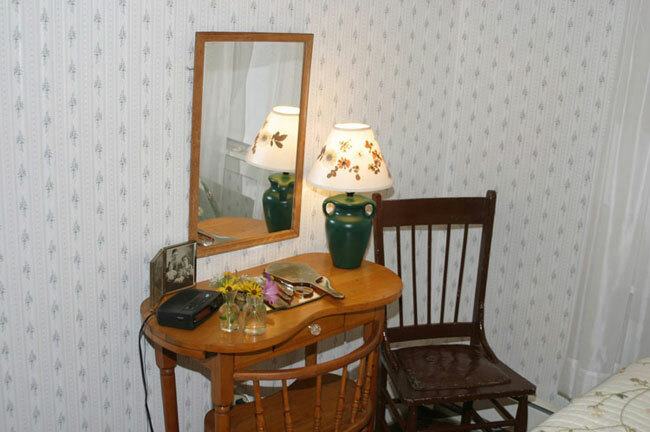 © 2019 Deer Watch Inn | All rights reserved.